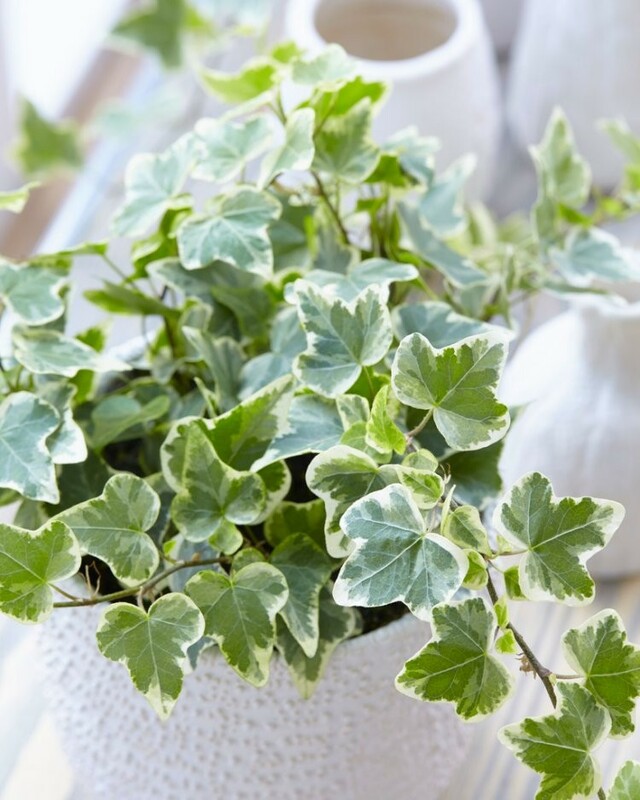 Hedera helix 'White Wonder' is an incredibly versatile plant. It can be used indoors or outdoors, and is of course associated with Holly at Christmas time, thanks to the famous carol 'The Holly & The Ivy'. While young, it can be used as evergreen infill, and to hang over the edges of, hanging baskets, window boxes and patio pots. When it gets a little bigger, it is ideal for smothering a north-facing wall or fence, while if there is nothing for it to clamber onto, it will make decorative (and weed suppressing) ground cover. Once established, its a doddle to grow too, so perfect for low maintenance schemes, where it will look good all through the year. Of course, you could simply grow indoors in a pot on a shelf of windowsill and let it trail down, simply trim the tips if it gets too long. Supplied in approx 12cm containers as pictured, with trailing stems, complete with white display pots.